The next intake of ten members for the EPSRC Early Career Forum has now been finalised. We look forward to welcoming the new members at the next ECF meeting at Strathclyde on Monday 22nd September. The new members will replace half of the inaugural membership to maintain the twenty strong forum. Each ECF member will undertake a two year period on the forum with half of the forum being refreshed on an annual basis. 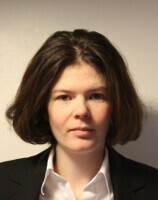 Dr Kate Black gained her PhD in Material Science at the University of Liverpool in 2008. She then went on to join the University of Cambridge as a Research Associate in the Centre for Advance Photonic and Electronics, principally working on the development of novel materials by Atomic Layer Depostion (ALD) for their use in supercapacitors. In June 2013 Kate became a Lecturer in the Centre for Materials and Structures at the University of Liverpool, School of Engineering. Kate’s research interests are now primarily focused on the development of novel functional materials, using inkjet printing, for the manufacture of electronic and optoelectronic devices. Her main area of expertise is in the development of novel Reactive Organo-Metallic inks (ROM) which are particle-free and can be exploited to produce a wide a variety of functional materials, such as conductors, insulators and semiconductors. 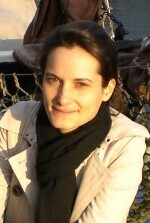 Dr Cinzia Casiraghi is a lecturer at the School of Chemistry at the University of Manchester. Her multi-disciplinary background– ranging from nuclear engineering to physics, from chemistry to electrical engineering – has enabled her to contribute in a wide range of research activities in applied material science. 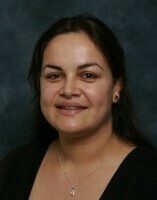 During her doctorate studies she strongly contributed to the development of ultra-high density data storage in magnetic disks and ultra-long storage in plastic bottles and she also established a leading activity in the application of Raman spectroscopy as non-destructive characterization tool in order to probe and tune the properties of carbon-based nanostructures for technological applications. Currently her group is exploring the use of 2-dimensional materials, such as graphene, dichalcogenides, and their combination in superlattices and heterostructures, to develop new electronic devices and photovoltaics compatible with flexible substrates and low cost manufacturing technologies such as inkjet printing. Her group is also working on new functional materials to enable fabrication of biosensors and solar cells, by combining the properties of graphene with the processability and tunable properties of organic molecules. 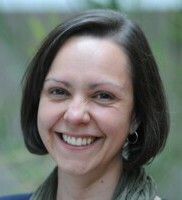 Rachel was appointed an Assistant Professor in the Manufacturing and Process Technologies Research Division at the University of Nottingham in late 2011, following an Anne McLaren Fellowship. Her research interests lie in sustainable resource utilisation towards wastewater treatment and chemical processes. Economic incentives are encouraging new approaches to manage resources and treat wastes within the manufacturing process to enable reuse, value recovery and/or safe release into the environment. Processes where bio-sourced feedstocks or catalysts are utilised are of particular interest, where inherent variability of the bio-input increases the system complexity. This complexity needs to be understood and accounted for when developing and evaluating a process that delivers a product – whether manufacturing chemicals to a required specification or wastewater fit for reuse. Rachel’s research vision and strategy seeks to progress this inter-disciplinary research area of adaptive bioprocessing. 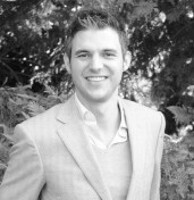 Chris is based in The University of Sheffield in the Materials Science and Engineering Department and is head of the Natural Materials Group where he currently holds an EPSRC Early Career Fellowship. His research uses tools developed for the physical sciences to better understand Nature’s materials, from latex to collagen, but with a focus on silk. By studying how silk is spun he has been able to gain unique insights into silks’ biodiversity, structure and evolution. Additionally, this work has made important links between natural and industrial fibre processing which has led to a fundamentally new way of designing, testing and fabricating bio-inspired materials. Today he combines multiple instruments with rheology, from microscopes and spectrometers to synchrotrons in order to understand exactly how silk proteins self-assemble into one of our most impressive materials. Outside of the lab he is also chairperson of the Recent Appointees in Polymer Science and sits on the scientific advisory board of Oxford Biomaterials which commercialises high-tech silk-based devices for a range of medical and non-medical applications. Dr Louise Horsfall is a Lecturer in Biotechnology at the University of Edinburgh and also elected co-chair of the Bioengineering and Bioprocessing section of the European Federation of Biotechnology. She began her career as a chemist at the University of Oxford before moving to Liège, Belgium, to study biochemistry; gaining her PhD in 2007. Louise believes that biotechnology has the potential to transform manufacturing by using waste as a feedstock, rather than it being an end product. Current research projects include the use of bacterial metal reduction and nanoparticle formation pathways to enable the bioremediation of waste, water and land; employing techniques and tools provided by synthetic biology to increase the value of the metals recovered. Collaborative research with industry is focused on improving metallo-enzymes and their production for enhanced lignin degradation. Replacement of the current pretreatments with catalytic degradation would dramatically increase the energy efficiency of bioenergy production and provide new routes to the manufacture of aromatic feedstock chemicals. Maïwenn is a Royal Academy of Engineering Research Fellow in the Institute of Biological Chemistry, Biophysics and Bioengineering at Heriot-Watt University since 2013. She obtained her PhD from Heriot-Watt University in 2010 and her main research focuses on the development of novel microfluidic tools for application in the field of non-invasive prenatal testing. Her interests in Manufacturing Research lie in micro and nanotechnologies, rapid prototyping and the development of cost-effective manufacturing processes for medium to high volume production of polymeric microfluidic components. She is also interested in the replacement of petroleum-derived products by composites derived from renewable resources in the production of high-value microsystems. Maïwenn is delivering outreach activities about microsystems and microfluidics and would like to change the public attitude towards engineering and manufacturing from passive consumers to active problem solvers. Laura Torrente is a lecturer in Chemical Engineering at the University of Bath (2010) and EPSRC Fellow in Manufacturing (2014). She is a member of the Centre for Sustainable Chemical Technology and co-leads the “Process and Manufacturing” theme of its associated CDT. Prior to this, she worked as R&D Engineer at Repsol YPF (Spain) and as Research Associated in the Department of Chemical Engineering at Imperial College London. Her research focuses on the development of sustainable technologies for a wide range of applications such as sustainable energy (production of hydrogen from waste), use of bio-derived feedstocks and novel manufacturing routes. Her group has expertise in three complementary areas: i. development of stable metal nanoparticles-based catalysts and nanostructured materials ii. innovation on reactor design supported by fluid dynamic simulations, including micro-reactors and iii. integration of reaction and separation processes (e.g. membrane reactors and emulsions). As part of her Fellowship project, she is developing novel manufacturing routes for the production of metal nanoparticles in the absence of capping agents combined with in-situ stabilization approaches using microdevices. Ioannis Papakonstantinou received his Diploma in Electrical and Computer Engineering from National Technical University of Athens and his PhD in Optical Interconnects from University College London in 2008. During his PhD in collaboration with his industrial and academic partners he developed and patented an optoelectronic connector for optical printed circuit boards which was successfully commercialised. In 2008-2009, he worked for Sharp Laboratories of Europe, investigating sub-wavelength diffractive films fabricated by nanoimprint lithography to improve the brightness, uniformity and power consumption of liquid crystal displays. He joined CERN-European Organisation for Nuclear Research in 2009, where he worked on Gb/s optical fibre communication links for the distribution of timing-trigger and control signals in the Large Hadron Collider. 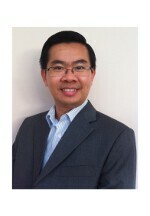 He was appointed as a Lecturer in the Electronic and Electrical Engineering Department at UCL in 2011. Ioannis’ research interests at UCL focus on the theoretical modelling, design and fabrication of photonic nanostructures for energy efficiency, renewable energy generation and biomedical applications. His group projects include; bioinspired thermochromic windows with self-cleaning and antireflective properties for energy efficient glazing; miniature fibre-optic ultrasound transducers made of carbon nanotube and elastomer composites to guide minimally invasive procedures; luminescent solar concentrators for large area, cost effective PV; photonic metasurfaces to improve the timing resolution of Positron Emission Tomography (PET) scanners and visible light communications. Thomas Rodgers joined the School of Chemical Engineering and Analytical Science at The University of Manchester in January 2013. He previously worked at Durham University as a Post-Doctoral Research Associate as a member of the Biophysical Sciences Institute, focusing on the super-coarse-grain modelling of protein and ligand binding. Prior to this, he graduated with a PhD in Chemical Engineering from The University of Manchester in 2011 funded by EPSRC and Unilever. His PhD focused on the processing and manufacture of formulated products. 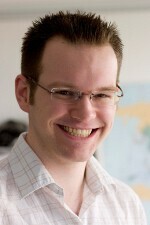 His current research focuses on the development of manufacturing formulated products. 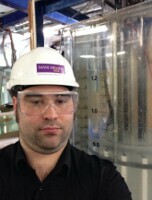 He is interested in understanding how to take a product from laboratory/development scale through to production scale. He is developing and using advanced analytical techniques such as tomographic imaging to better understand – and thus improve – the manufacturing process at all scales. Thomas’ research also examines how the manufacturing process affects the final product structure, and how this can be exploited for improvement of end products. He is currently engaged in active collaborations with both academic and industrial partners. Dr. Tuck Seng Wong is a lecturer in the Department of Chemical and Biological Engineering at the University of Sheffield (TUoS). He is affiliated to Chemical Engineering at the Life Science Interface (ChELSI) Institute and Advanced Biomanufacturing Centre (ABC). He is also the founder of Summer Undergraduate Research Fellowship (SURF) to promote undergraduate research in TUoS. The research in Wong group focuses on applying advanced protein engineering technique, specifically directed evolution, to tailor the properties of biocatalysts/enzymes for industrial and pharmaceutical applications, as well as to elucidate the design principles used by Nature. There are three key areas that his research group is currently working on: (1) Development of novel molecular biology tools to advance the field of directed evolution (e.g., method to create high quality mutant library), (2) Application of directed evolution to improve existing properties of industrially relevant enzymes (e.g., cytochrome P450s, carbonyl reductases, aromatic peroxygenases and hydrolases) or to create novel functions, and (3) Development of computational tools to facilitate/expedite experimental design (e.g., method to analyse genetic diversity). Some of his research projects include (1) Biological carbon dioxide capture and utilization (CCU) for chemical syntheses, capitalizing on his interest in directed evolution and synthetic biology, and (2) Continuous biotransformation. Complementing protein engineering, his group also applies a wide array of biophysical techniques to study various properties of biomolecules (e.g., structure, stability, oligomeric state, protein-protein interaction, and protein-DNA interaction).